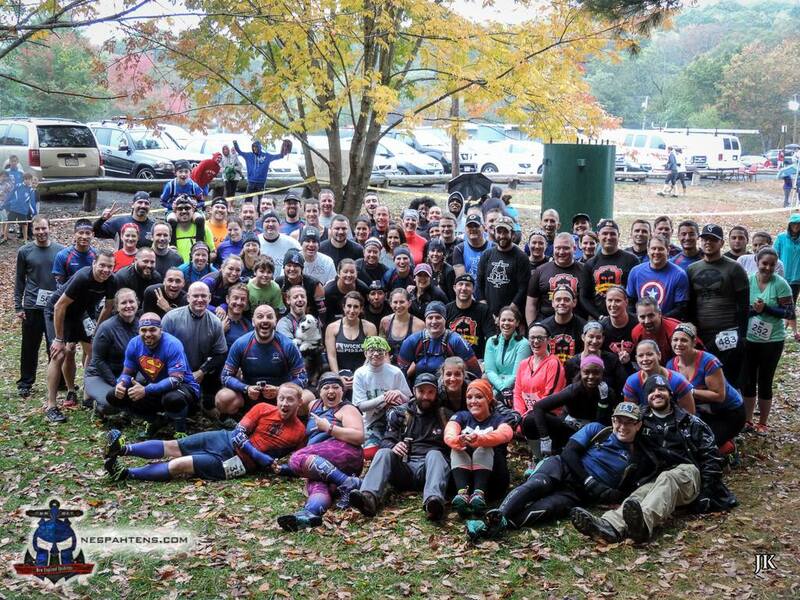 This weekend saw the third running of Robb McCoy’s FIT Challenge, and once again, he saw huge support from the NES community, with over 100 members of the team braving the rain and cold and heading out to Diamond Hill Park in Rhode Island – the third venue FIT has used. 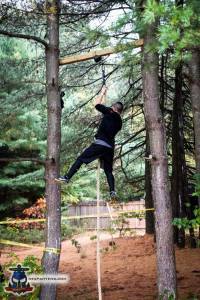 Coming into this weekend, even FIT has been hit by a sudden slow down in the participant numbers – it seems every OCR in the region has struggled to pull people in this fall. I don’t know if it’s because people are burning out, or because the Big Three have taken people’s play money, but with around 600 registered athletes, numbers were down on the past couple of events. Regardless, the show goes on, and FIT always shows people a good time. This was a brand new venue to them, and we were assured it was the most challenging terrain yet (it was), and as a location is shows enough promise that Robb has already committed to them for April, and I can see why! Come race day, the weather was terrible. Resulting in around 200 people no showing – which is a shame, they missed out. The venue was super easy to find on the GPS, and there was plenty of parking right at the venue. No shuttles needed, no long walks – $10 to park, as is common these days – but SO CLOSE. 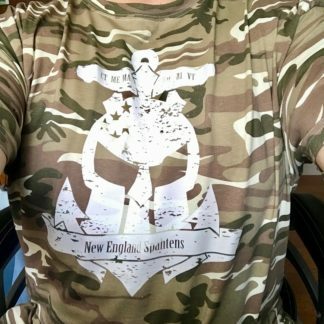 Vendors were slim pickings – I happen to know that some pulled out because it was raining, which is fairly unprofessional in my opinion, but they had military folks, our buddies at Wreckbag, FITs own merch tent and the usual registration tents. The local ice-cream barn offered a free ice cream, and a great salad truck came along. We had representation from both the Family Reach Foundation and Battlefrog, which was fantastic too! 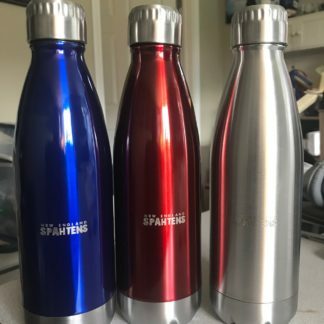 Being a member of the Spahtens comes with benefits, and thats no truer than at FIT Challenge. Robb is an active member of the community and routinely races with us at events, picks people’s brains and is generally considered a friend to many – this shows in his races, as he dedicated a large space for our use, and we were welcome to bring tents, pets, small grills and our families – and make what is normally a quick visit post race into an entire afternoon hanging out with good friends – and making new friends. This, ladies and gents, is why we bring 100’s of people to FIT Challenge. Even with the terrible weather, even with poor turn out, we still brought over 100 members of the New England Spahtens, huddled up under a few pop up tents with our kids and families, and had a great afternoon out. We were running at 10:45am, and Fred from Smithfest Events (Panic in the Dark, Blizzard Blast etc) was our MC for the day, which was a fantastic #racelocal touch I don’t know how many appreciated. Being a new venue, we weren’t sure what to expect – but overall, it didn’t disappoint, and I see why there is so much excitement for the April event. The terrain was challenging. 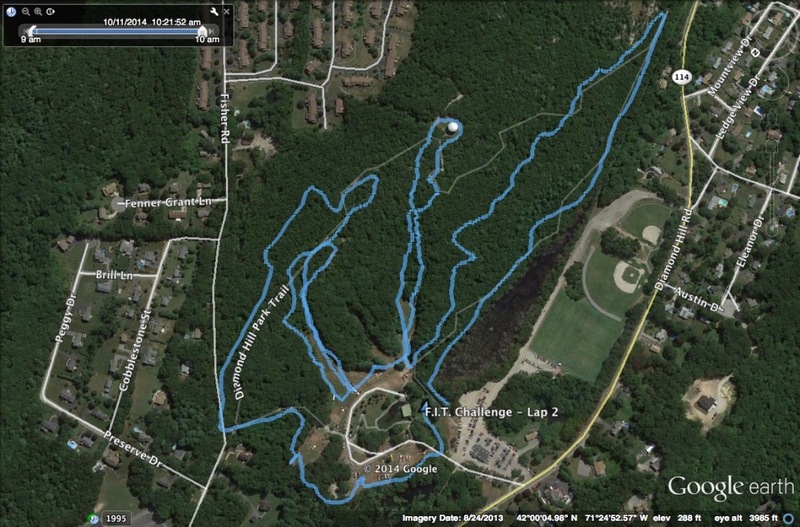 Some pretty serious climbs and descents. Robb has stated that his race will remain a 5k, and his course distance felt spot on for that. 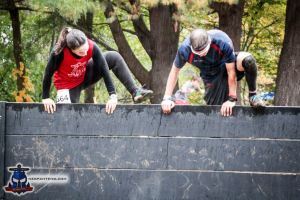 We saw several familiar FIT Challenge obstacles from the past events and venues, and every single wall and obstacle structure was well built and solid. Teeter totters were treacherous in the rain, so care needed to be taken on those and I did see a spill (all was ok) The Wreck Bag carry was pretty epic, and an actual rope climb was nice to see – and both a welcome challenge in a market that is increasingly watered down with foam glow night electric bouncy fests. I said this to Robb directly on the day, but the course did feel light on obstacles, despite the challenging trail and some challenges that were there – I have it on good authority that we won’t have that complaint in April, now he knows what the course can handle for throughput and placement. I will also add I was a little disappointed in the Crossfit element this event – perhaps it was simply the weather, but the Crossfit 508 guys killed it at the past two FIT’s, with a section of the course available for them to do any challenge they like – we’ve used sledge hammers on tires, box jumps, atlas stone carries, plate carries and pushes and more – inventive, unique and welcome. This time – maybe due to the weather – we simply bear crawled from cone to cone. I missed the inventiveness and unique challenges they brought previously. Thanks to Jeff Wohlen for the map! As with any race – more so because of the weather – I can’t leave this review without giving a huge shout out to the volunteers. From members of the New England Spahtens, to Robbs family and friends, to local folks simply wanting to help – the course was well managed, water stops (two of them!) were manned, registration was well handled and all of this on a very cold and wet day – events live and die by their volunteers, and this was a fantastic showing. Has FIT finally found it’s home at Diamond Hill? I hope so. The more familiar an event is with it’s venue, the more they can use it well – and I have full confidence FIT will do that next year! Agreed, the weather was rough but the bigger disappointment was the lack of obstacles and the underwhelming crossfit section. We really enjoyed the last challenge held at the WWI park, so we know Robb can do much better. 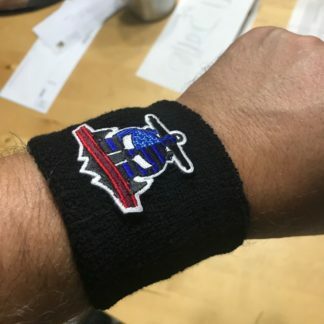 There was also the issue of being unaware of the ice cream tickets, we weren't given any so we assumed that we just needed to show the bracelet for the free ice cream across the street. 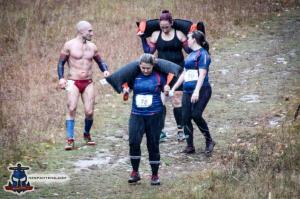 The staff and volunteers were encouraging, we loved the terrain at this venue and the wreck bags were used perfectly. We are still so excited and will definitely be there for his Epic Challenge in April!